Happy Monday! First, I want to thank you all for the birthday love last week! And second, I need to tell you how appreciative I am for all of your support. 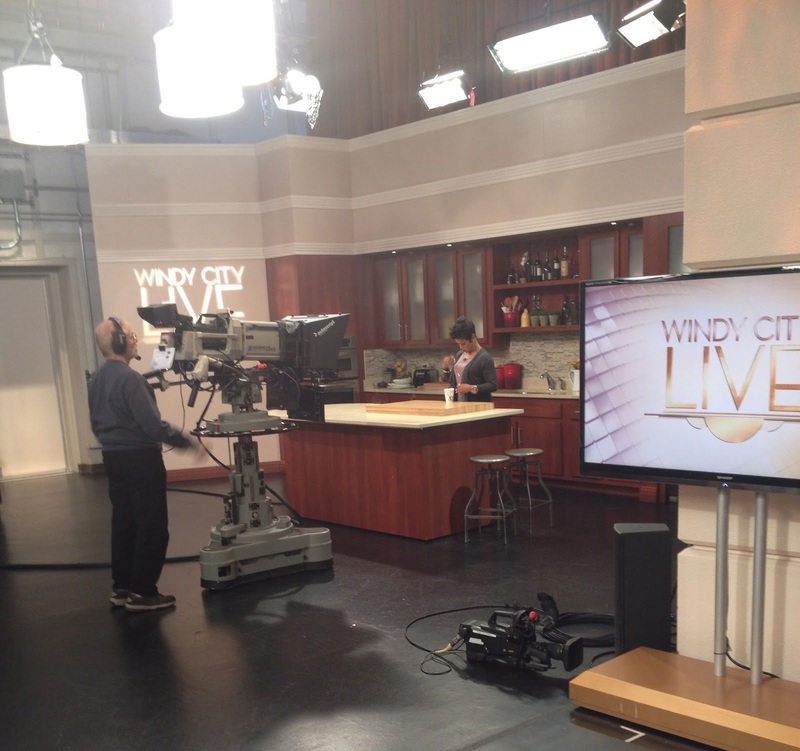 It means so much to me that you all were celebrating with me this past Friday for the Windy City Live segment. I had an amazing time on the show and want to share my experience with you. Since I know you may not want to read an essay, I'll be telling this story mostly in pictures. 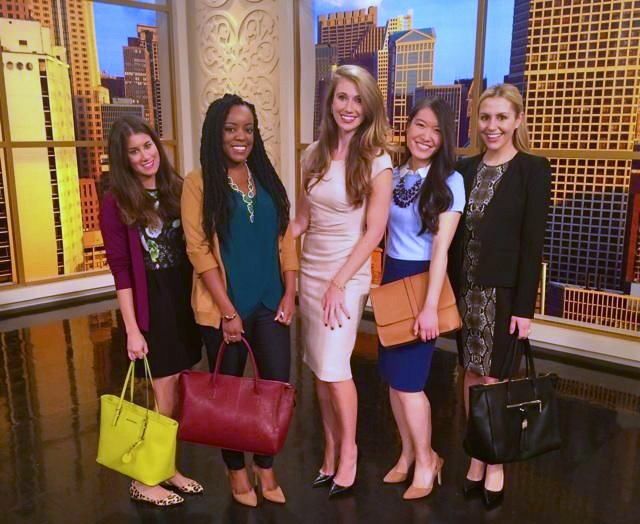 I got to ABC Studios and was ushered into our conference room where our looks from Forever 21 and Macy's were waiting for us. 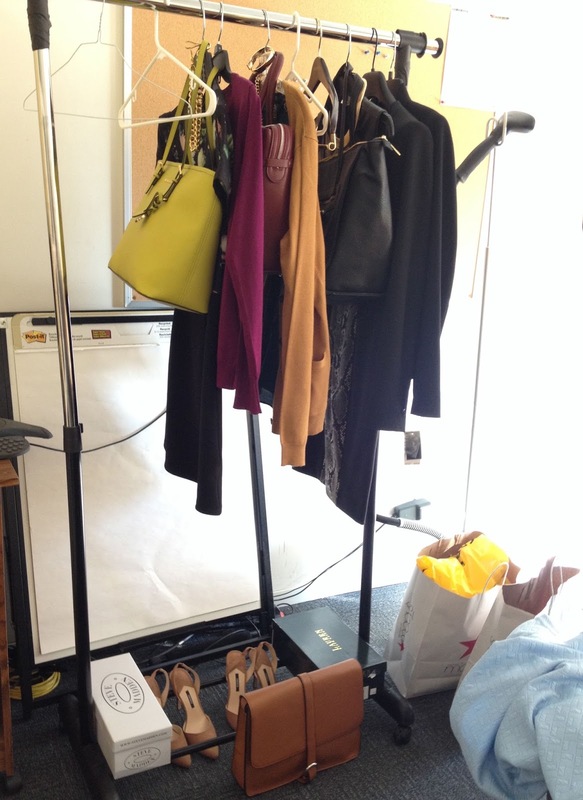 I was looking forward to working with Jackie again (she's the fashion reporter for Crain's Chicago who selected me to be one of the Crain's Chicago Business Models this summer) and was so glad she chose me to be one of her models for the show. I finally got to meet the other girls who were modeling with me, Nicole, Samantha & Tanya. They are such beautiful people, inside and out, and so much fun! I knew we were going to have a great day together! 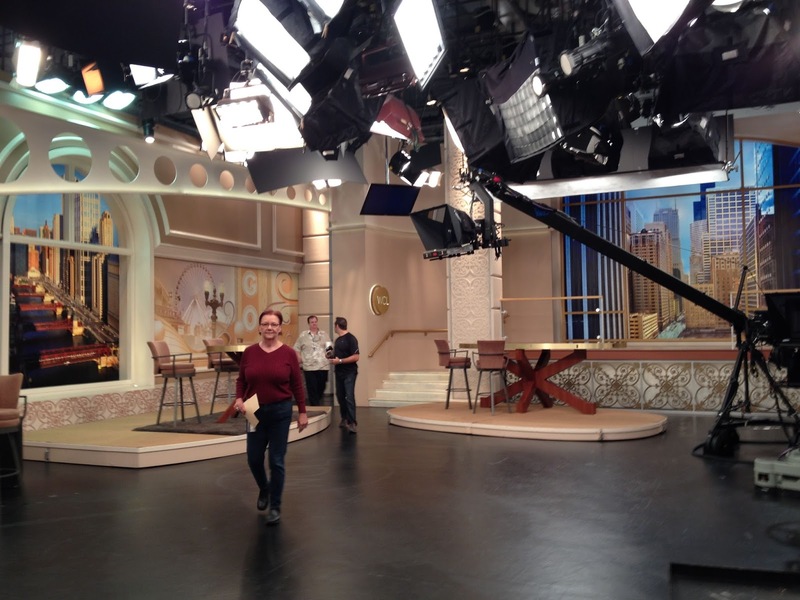 Then we were led to the show's set for a quick run through. This was when reality hit and the butterflies started. 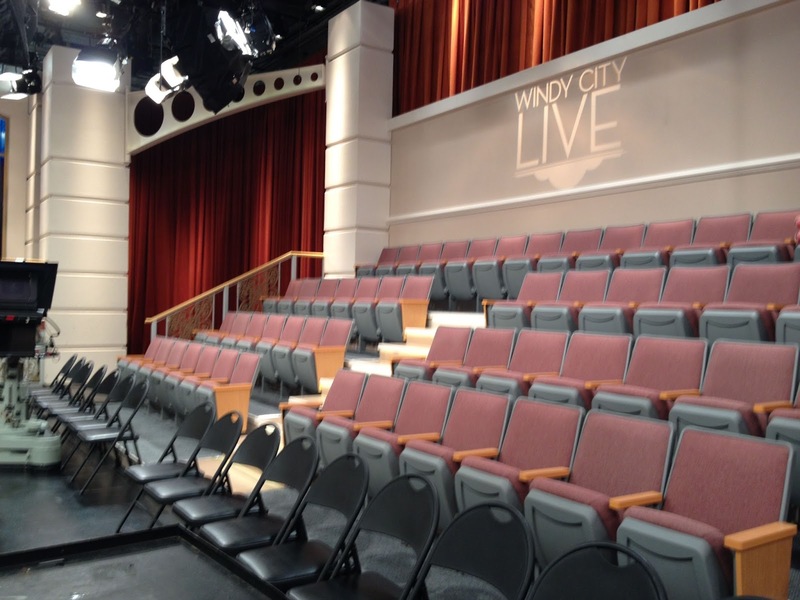 The seats in the audience were empty, but they would soon be filled. And then the giant cameras were everywhere, catching my every move. I just started praying that I wouldn't trip and fall on my face or forget how to walk in heels. But after the run through I was more excited than nervous. After our run through, Val, one of the show's hosts, made her appearance and just blew me away with how down to earth she is. She is such a character, super sweet and so much fun! I would love to just hang out with her for a day. After our run through, we were rushed into the green room for touch ups for our hair and makeup. 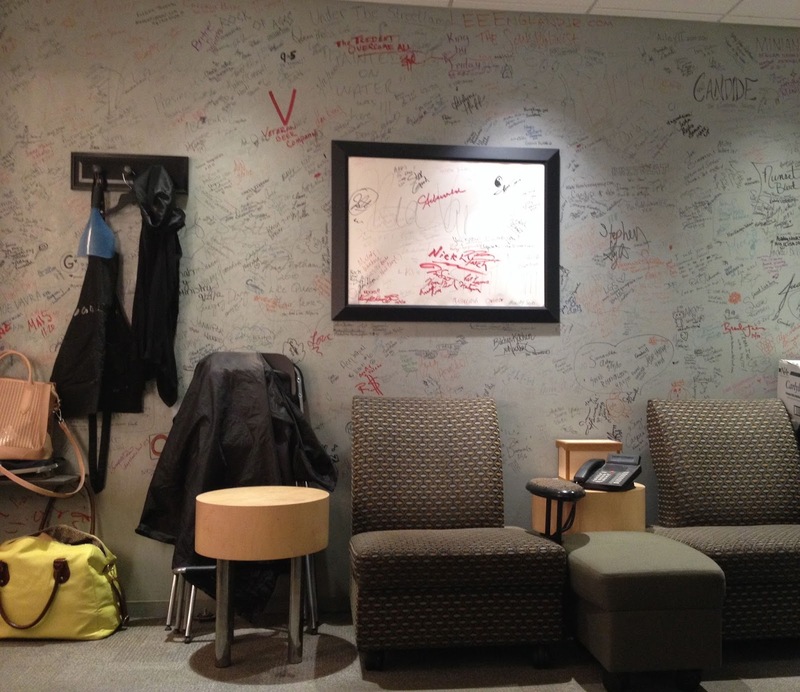 All 4 walls were covered in signatures of people who have been on the show. 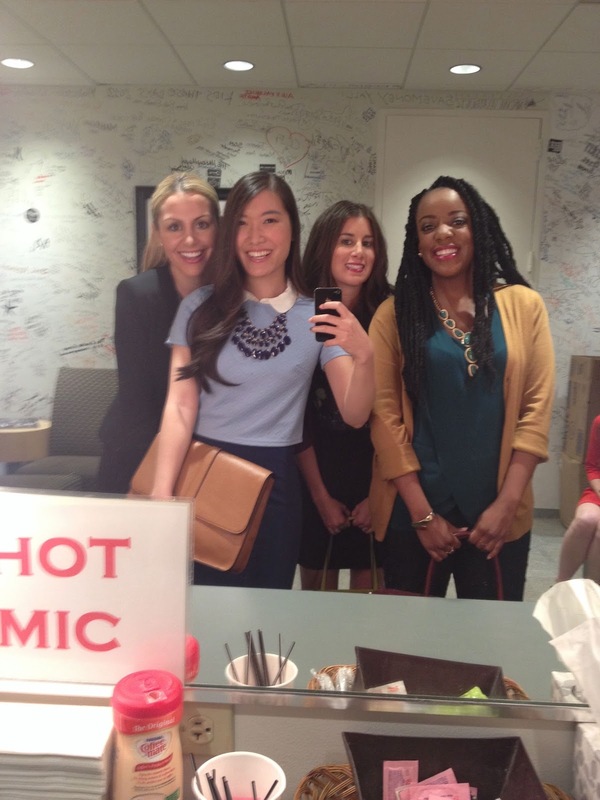 And of course we had to take a green room selfie! Since Larry King was arriving for hair and makeup, we were herded back to our room. We were hoping to get him to be the fifth model or to ask him to stay and do commentary on our looks, but we didn't get a chance to ask! How hilarious would that be? We watched a bit of Larry King doing his thing, and then it was showtime! We all got a bit nervous, but it was so fun and flew by! It really made us appreciate how much work goes into a 6 minute segment. 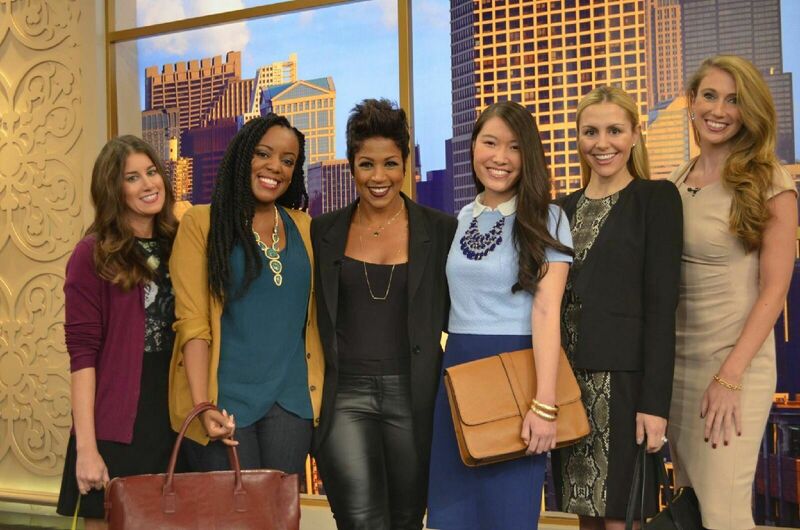 If you missed the segment or don't live in Chicago, no worries! You can check it out here! You'll definitely see me wearing these trends this season! Will you be trying out these trends this Fall? The best part of my look was that it was entirely from Forever 21, which means that it's cute but affordable! Awesome experience, love the necklace and you and the other models look great and ready for Fall! Thanks so much Robin! We had fun :) Thanks for stopping by! Hope you have a wonderful week! 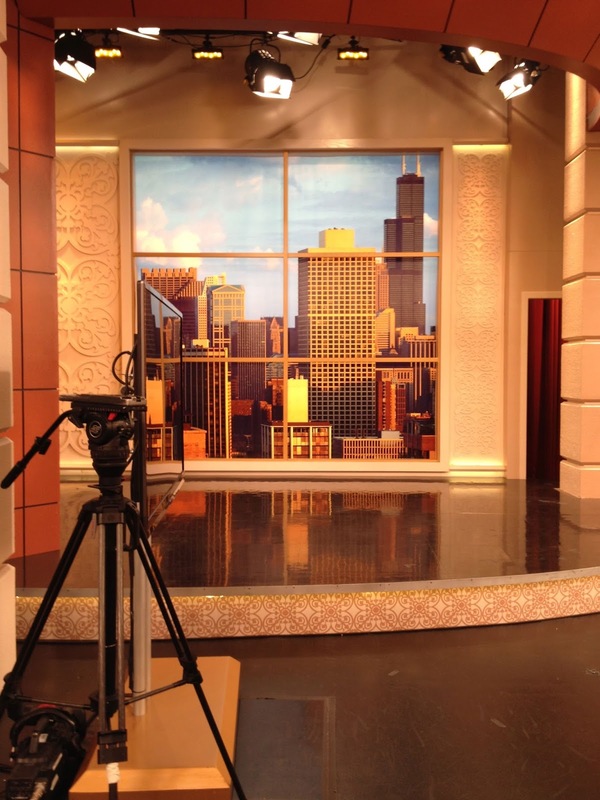 What a great time to be in the show, Windy City always has great fashions. Love your outfit and the one with the snake-print dress, the most. What an amazing opportunity! You looked fabulous! It sounds like such an awesome experience! Such a great & exciting opportunity!! You looked so great in your classic & chic outfit. Love the bag too. That is seriously so fun you got to be a model for the show. What an amazing experience. Good for you girl! Well deserved. You look beautiful!! How fun! I would have loved to do something like that. I did star in a local TV-station commercial when I was in high school. My friend's aunt worked for the TV station and asked us. It was during Christmas and we had to pretend to open gifts around a tree and act all happy. The kicker is that the gifts were shirts with the TV station logo. CHEESY!!! You looked so pretty in that polished outfit and I can't believe it was from Forever 21! I love that story!! It may be cheesy, but it's still cool to have an experience like that!! Thanks for the sweet words :) Forever 21 has great finds if you're willing to pick through the store! WOW - this looks so incredibly exciting and fun! You wore a perfect fall outfit - and all from Forever 21 at a steal I bet! Love it :) Following you on Twitter, Instagram, GFC and Bloglovin now! How exciting! 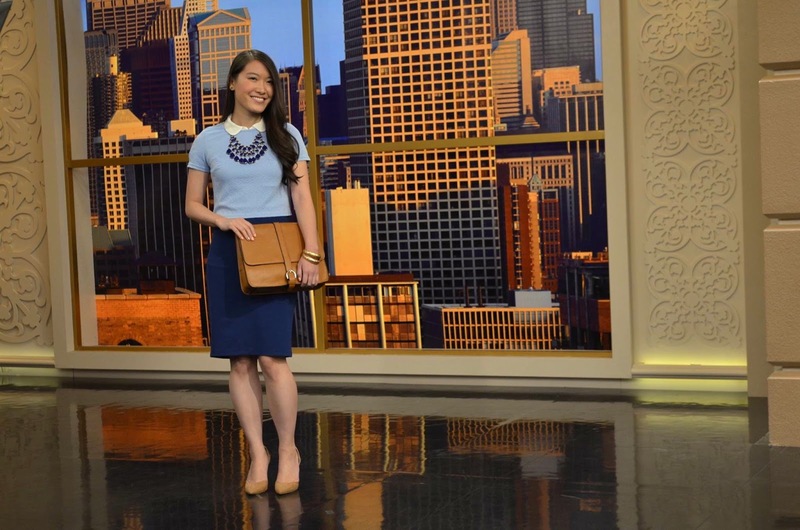 You look fantastic, I love your outfit especially the clutch! Hope you get to do it again! Wow what an amazing experience! Congrats. BTW, I host a weekly link up on Thursday and hope that you will join me. How fun! You're basically a Chicago celebrity now too ;) Woo! Your outfit was super cute, and that handbag is already in my shopping cart. I can't believe the whole thing was from F21. Haha!! Gotta love the fifteen minutes of fame ;-) I know! That bag is probably my favorite! So glad you're getting it! Wow thanks for sharing this fun and memorable experience with us!!! What a cool experience! I really like all of the outfits Jackie styled. Your clutch is awesome! All those bags are perfect. I love love love yours, though. I must get it. Congratulations on your success, what an awesome post! Wow, gorgeous! I hope you all enjoyed it!